Some kid took out dad's R8 V10, only to crash it into a truck when he started showing off. There's a lesson here: don't stunt in dad's R8. 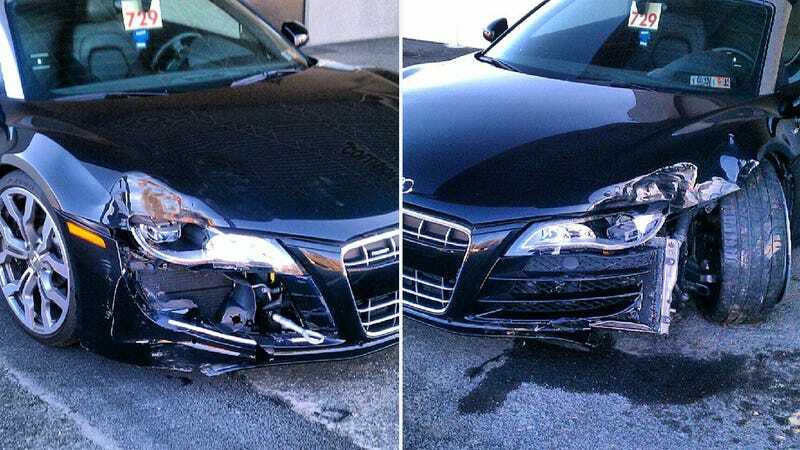 Zero2Turbo posted these pictures, released to him by an employee at the dealership that took in this crunched Audi R8. Judging from other shots from the same source, it appears the car went to Thompson BMW in Pennsylvania. Hm. Perhaps the real lesson here is that you shouldn't leave the keys to your V10 sports car with your kid at home.